The Wool collection of the Eco Solution Q nylon line features three tile and three broadloom patterns that emulate wool carpet. Metallic, high luster accents add contrast. Uses EcoWorx backings, which contain 40 percent pre-consumer recycled content in tile and 20 percent post-consumer content in broadloom. 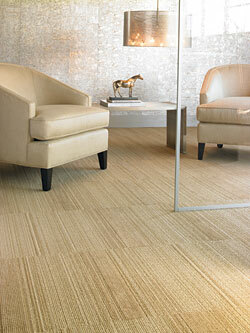 The fiber can be recycled back into carpet fiber.